Because of the size and importance of Perga/Perge I have divided the images into three sections. 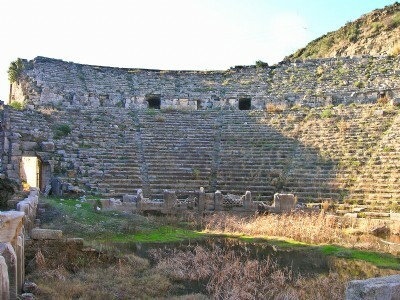 This section contains images of the well-preserved Stadium, Theater, and Roman Bath. For other aspects of Perga/Perge and a brief introduction to the site and a map Click Here.